The Behringer Ultrabass BX2000H is an ultra-versatile and incredibly powerful bass amplifier - packing an impressive 2,000 Watts of lightweight, Class-D power into its portable and well-designed chassis - with plenty of room left over for some amazing features. Inside you'll find an exceptionally warm high-voltage Mosfet preamp, an expressively-dynamic classic compressor, as well as our Dynamizer technology that really packs a punch! Together with a complete and wide-ranging EQ section, an integral balanced DI, dedicated FX Loop and more, the BX2000H will see you through every demand of your playing career - from the rehearsal room to the concert hall! 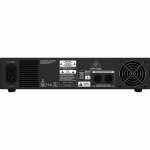 Class-D - Massive Power, Perfect Sound: Thanks to Behringer's revolutionary Class-D amplifier technology, they are able to provide you with enormous power and incredible sonic performance in an easy-to-use, ultra-portable and lightweight package. Class-D amplification makes all the difference, offering the ultimate in energy efficiency and eliminating the need for heavy power supplies and massive heat sinks. This amazing technology makes it possible to design and build extremely-powerful products that are significantly lighter in weight than their traditional counterparts, while using less energy and protecting the environment. 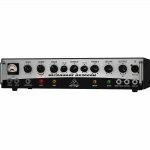 Mosfet Preamp - High-Voltage, High-Headroom Tube Sound: Behringer's revolutionary high-voltage Mosfet preamplifier redefines solid-state bass tone, providing the sound, feel and immense dynamics of an authentic tube amp. Like with real vacuum tubes, the new Mosfet design equally operates at high voltages, providing this preamp with unheard of headroom to honor all of your playing dynamics; from your subtly-nuanced signature riffs and bass lines, to your most powerful, attention-grabbing solos. 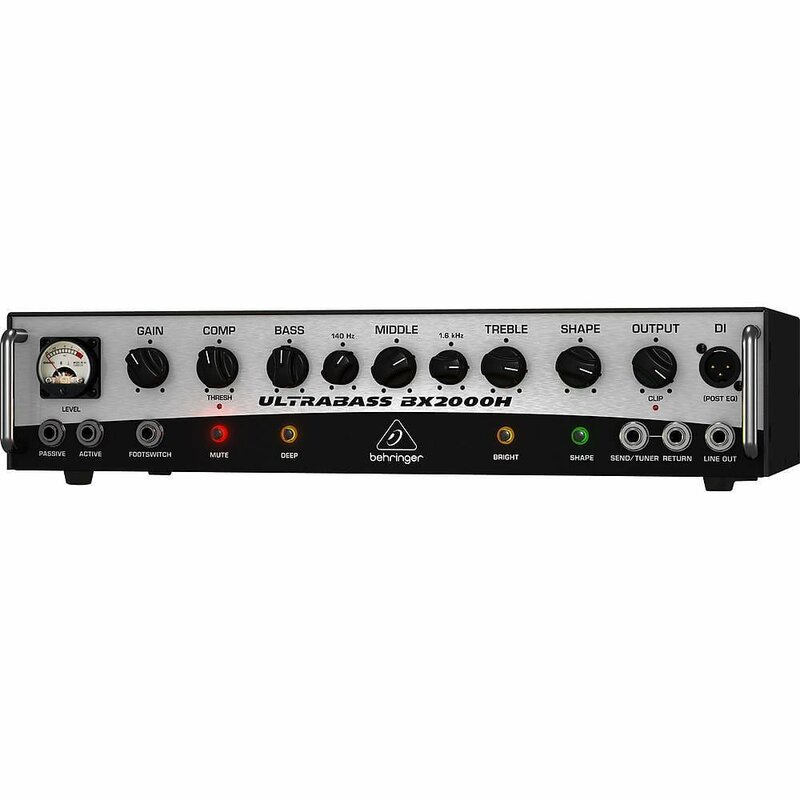 The BX2000H is all about tone, and this highly-versatile and responsive Mosfet preamp provides an abundance of headroom for consistently crystal-clear and faithful sound reproduction - no matter what style of music your gig calls for. Studio-Quality Compressor - Stairway to Heaven: Behringer's studio-grade compressor is based on classic and famous studio equipment from the 70's. This totally transparent and musical compressor design allows your full dynamic range to shine through until your signal reaches the compression threshold, which is indicated by the highly visible status LED. The compressor increases sustain and gently smooths out signal peaks, which is especially handy when you're laying down the funk, à la slap and pop - or hammering home your most- aggressive metal lines. The resulting output level lets you unleash powerful and impact-laden bass lines, while still sitting right where you need to be in the mix! Dynamizer Technology - The Secret Weapon: What is known as Parallel Compression or "New York" compression, is a dynamic range compression technique used as a secret weapon in high-end sound recording and mixing. Parallel compression is achieved by mixing an unprocessed "dry", or lightly compressed, signal with a heavily compressed version of the same signal. Rather than bringing down the highest peaks for the purpose of dynamic gain reduction, it reduces the dynamic range by bringing up the softest sounds, adding audible detail. It is most often used on stereo percussion buses in recording and mixdown, on electric bass, and on vocals in recorded and live concert mixes. Now this amazing technology is available to you! Behringer has integrated parallel compression in our Dynamizer technology to provide you with tone and dynamics that are unheard of to date. By working directly with the amplifier, their Dynamizer technology adds incredible detail and powerful, fat punch, so your sound is always impeccable, whether you're playing super-soft - or at the extreme volume levels that push a dB-meter to the max! Dynamizer allows you to take full advantage of every single Watt of your amplifier!